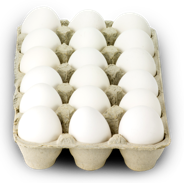 Egg safety extends across the supply chain from the delivery truck, processing plant to the grocery store, but it starts on the farm. U.S. egg farmers know the care they provide their hens helps ensure the safety of the eggs you feed your family. I never saw cloudy egg whites before. Are they safe? My eggs were in the back of the refrigerator and some of them froze. Should I toss them? How long do eggs keep in the fridge? Eggs for School Lunch? Remember the Safety Rules. Considering a school lunch containing eggs or something prepared with eggs? The important thing to remember is to keep it cold. An egg salad sandwich, for example, should be refrigerated at all times, so always pack a lunch in a cooler or insulated lunch pail with a freezer pack or sealed bag of ice.